Dwayne "The Rock" Johnson Just Launches His Own Headphone Called Project Rock. 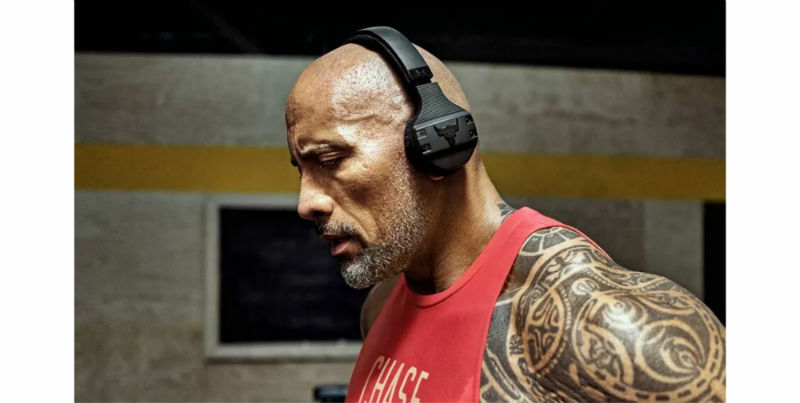 Popular Hollywood actor, Dwayne "The Rock" Johnson, has launched his own workout headphone called Project Rock. Project Rock is not designed only to offer quality sound and reduce distraction or soak up your surrounding like standard headphone. It's specifically designed to withstand intensity and sweats that always accompany rigorous workouts, and it does this by making use of both UA Grip material which help to maintain stable, but soft grip on the head and fast drying UA SuperVent ear cushions, which helps to manage the sweats. Therefore Project Rock succeeded in delivering rugged, firm, and sweat-proof wireless headphone without comprising the ability to deliver the premium quality audio sound. 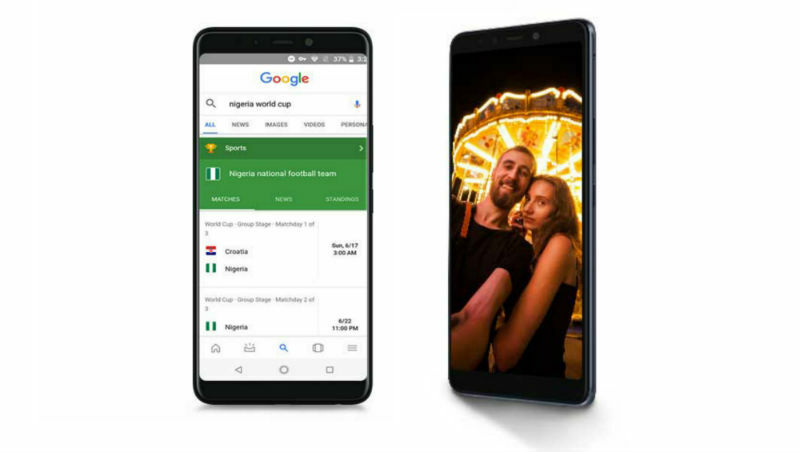 Price Of Infinix Note 5, Full Specification And Review. The newly introduced Note 5 (X604) is the latest model of the Note series of the Infinix Mobility, and what separates the Note series from other models is the inclusion of X-Pen Stylus, However X-pen can only be found in the improved version of the Note 5 Called Note 5 Pro. Meanwhile, the starting price of the new Note 5 is around 56,000 Naira upwards. Although Note 5 is a subsequent version ofNote 4 and they also share few similar specs, Note 5 doesn't look like previous model. Instead, the phone has a distinct design and more attractive looks, check below for full review of Note 5 and what differentiate the new phone from the Note 4. MSN, the popular news app and news aggregator of Microsoft has been rebranded Microsoft News. And unlike MSN, the rebranded Microsoft News sounds more familiar like other popular news apps such News Apple and Google News which directly showcase the names of their companies. The app is already launched for iOS and Android, this also indicates that for Android and iOS phones, MSN App wont be available again. However, the MSN website is still available, but it'll be powered by Microsoft News. This is because Microsoft News will now be serving as the company's news engine. Therefore, Microsoft News will also powers news section of Microsoft Edge browser, Window 10 news app, Skype, Xbox and Outlook.com. New Google Messages for web Allows You To Chat and Send SMS Through Your PC. Google is rolling out new PC feature for its Android Messages app, in order for this android app users to enjoy the same service on their PCs as well. The feature is called Messages for web. Through your PC, Messages for web connect and communicates with the Android Message app on your phone, thereby complementing each other and also function as one. Therefore, in the absence of your phone, but with your PC, you'll be able to receive, read and reply messages (including chat) sent to your phone. In other words, this feature allows you to carry out and continues all the functions (chats, SMS, MMS, exchanging of videos and gifts) of the Android Messages app on your PC when your phone is left somewhere else. This feature is similar to that of iMessage, but this! Message for web is more flexible and also cost less, what you need is just an average computer and average Android phone. Asus Unveiled World's First Laptop That Replaced Touchpad with 5.5" ScreenPad. Zenbook Pro is premium laptop models of the ASUS. It should be noted that Dell XPs and Zenbook Pros are among the high-end laptops in the market, which often serve as alternatives to MacBook Pro, for Window users. 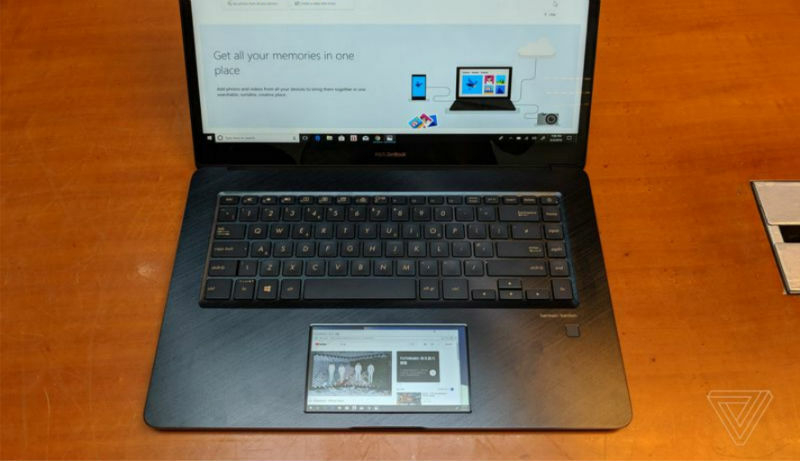 ScreenPad: The prominent and innovative feature of this year Zenbook Pro 15 is its smart-touchpad which Asus called "ScreenPad", the term is derived from TouchSCREEN and TouchPAD. Basically, in the position of regular Touchpad, you'll find a stunning 5.5" Full HD (1080p) Touchscreen, doing the work of standard Touchpad and more. In other words, it's like founding your 5.5" smartphone being integrated into the area that are once occupied by the touchpad of your favourite laptop, and now it can do the functions of your smart phone and at the same time, that of your touchpad too. Key2: The Latest BlackBerry Phone with Android 8.1 and Physical Keyboard. 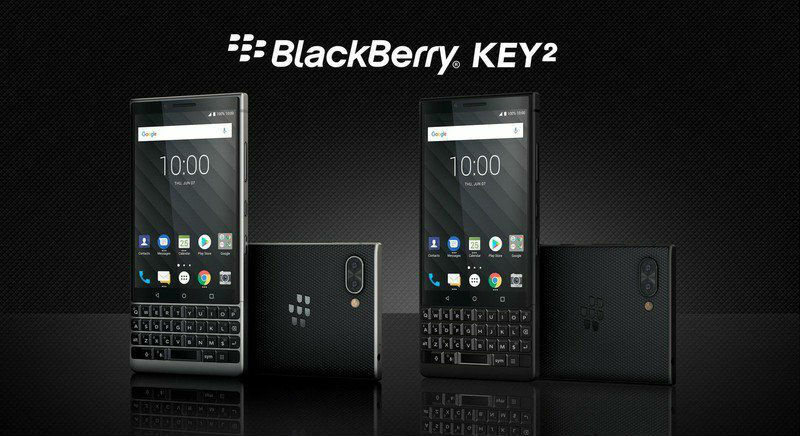 Key 2 is recently unveiled BlackBerry android phone with old physical keyboard, it is the second to the last year BlackBerry KeyOne. Though in the age of on-screen keyboards, i assume BlackBerry continues to make such phones for the few but declining fan of the old keyboard. Most of the features of last year's KeyOne are brought back in Key2 and they also share the same physical look. But, if you look closely, you'll discover that slight changes have been made to Key2; it is more attractive, slimmer, weigh less and the colour is less glossy.